Simply Collective Worship is a four year set of assemblies and thoughts for the day. The assemblies are designed for the primary school and the thoughts for the day are ideal for the KS2 classroom although they can be adapted for years 1 and 2. Simply Collective Worship is fully planned reducing your planning and preparation time, allowing your school to take time to stop and reflect on important community values. The planning document provided is versatile, choose the topics or themes that suit your own school calendar. The planning document also allows you to find important messages that you may want to repeat throughout the year, like our well-being checklist. If used every day it will allow your school to meet the legal requirements providing a daily act of Collective Worship for your school. Each weekly theme is made up of one main assembly that could be delivered to the whole school and four smaller thoughts for the day based on the same theme. Important values and life skills are repeated throughout the themes. Respect, tolerance, resilience and mindfulness are just some of the important topics included in the resource. Every assembly and thought for the day provides questions allowing pupils to think and reflect on a range of topics. Many of our assemblies and thoughts for the day are based on the SEAL themes. The different themes make sure that our resource supports children’s spiritual, moral, social and cultural development. Take a look at our six-week sample! It has a selection of themes taken from our first cycle. If you haven’t seen it already then download a free copy from our website, just follow the link. 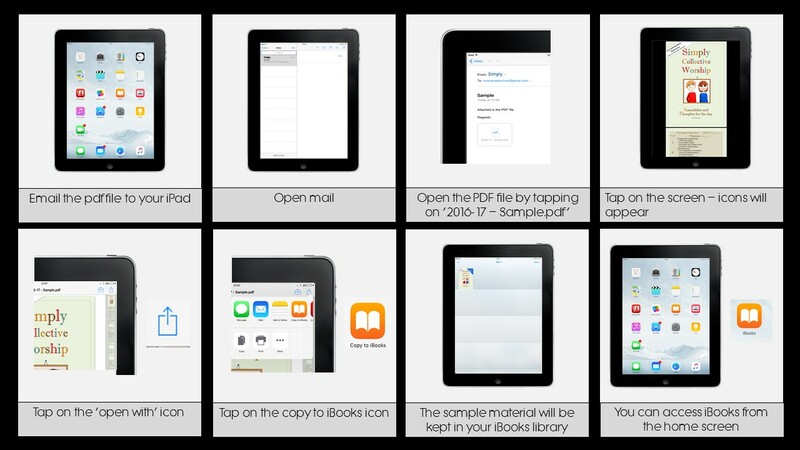 As a digital resource, you can send or download it to any digital device, making a large resource accessible almost anywhere. There is a how to guide on our website to show this as well. Simply Collective Worship allows you to bring the community together and reinforce important aspects vital to a healthy and vibrant community. We hope you like it and thanks for looking. Phil Lord gained a theology degree from Manchester University before undertaking a PGCE in Religious Education at Manchester Metropolitan University. During his teaching career he gained experience as the Head of Religious Education in schools in England and Wales. In 2010 Phil secured the position of a subject advisor for Conwy, Denbighshire and Flintshire Local Authorities responsible for monitoring, supporting and developing good practice in Religious Education. His role changed in 2013 to a wider school improvement role. Phil has supported Standing Advisory Councils for Religious Education (SACRE) in the three local authorities. He was chair of the Welsh Association of SACREs from summer 2015 to autumn 2017. He was also the Welsh representative on the European Forum for Teachers of RE (EFTRE) to further the teaching of Religious Education. Phil has written resources and provided training for Religious Education and Collective Worship from Foundation Phase through to Key Stage 5. 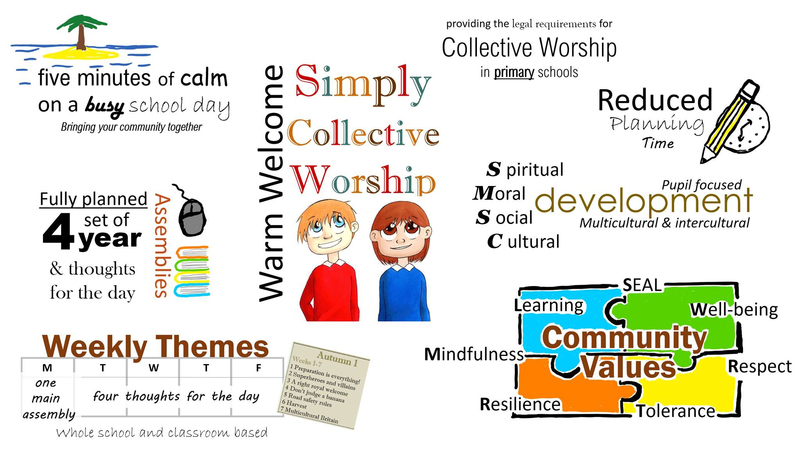 The idea for Simply Collective Worship came about from a conversation with a head teacher who had asked if there was a published four year scheme for Collective Worship that was planned already meeting the statutory requirement. This resource is a result of that conversation.